* Komal Kumar was born on 4th July in Mayasandra, Tumkur District, Karnataka. * Komal Kumar is a law graduate, after completion of his education in Ooty Komal entered the films as an actor. * He is married to Anasooya who produced one of his film “Kal Manja”. 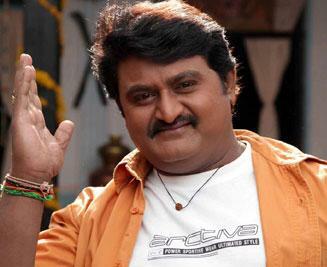 * Kannada actor Jaggesh is his elder brother. * Komal made his acting debut in 2000 with Kannada film ‘Khiladi’ but he never gained popularity until 2008. During 2000 he used to appear in minor supporting roles and so far he worked for more than 200 Kannada films. * His debut film in a lead role was ‘Mr. Garagasa’ in 2008, the film was directed by Dinesh Baboo. He later appeared in noted films like ‘Chamkayisi Chindi Udaisi’ ‘Maryada Ramanna’ ‘Kal Manja’ etc. * In 2012 he gained popularity with his first ever blockbuster film “Govindaya Namaha”, people went viral about the song “Pyarge Aagbittaite”. The song was one among the super hit songs of the year in Kannada cinema industry. Dear sir, your friend co-director ramachanthiran (tamil) say your film Mr.GARAGASA 2008 is wonderful movie .